Nintendo‘s software had a quiet month, but it was anything but quiet for Nintendo’s hardware. The NPD Group latest data, which has just been released, confirmed that the Nintendo Switch had yet another very successful month. According to NPD analyst Mat Piscatella, “Nintendo Switch is the best-selling hardware platform of February. And [for] 2019 year to date”. One reason for this is that, in terms of sales, the current generation of gaming hardware is finally starting to show its age. VentureBeat noted that the “rest of hardware spending” in the US saw a downward trend for the first time. Piscatella says that “hardware spending in February 2019 declined 12% when compared to a year ago, to $277 million”. But that isn’t the only reason for the Switch’s sales success this past month. In fact, according to VentureBeat, Nintendo had “some of the best February results for the company in years”. 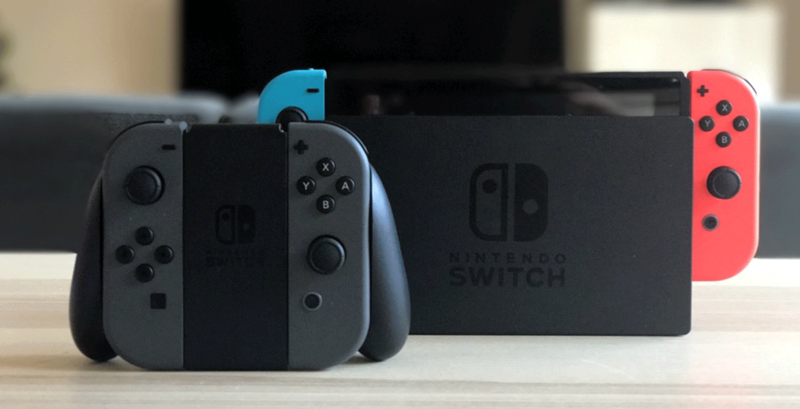 Piscatella confirmed that “Nintendo gamepad sales increased nearly 80% in the month of February, and are now up approximately 90% year to date”. What is most impressive is that, according to Piscatella, “Nintendo generated its highest February-month hardware dollar sales since February 2011. The company also reached the highest year-to-date dollar sales for Nintendo-produced hardware since 2011”. In 2011, Nintendo was pushing the Nintendo Wii and DS. By then, both consoles were “beyond their prime”, as VentureBeat explained, but the site also says that “they combined to sell more than 900,000 total consoles. Although, it’s important to remember the Switch costs more than either of those systems did at that point”. Momentum has been the biggest factor in the Switch sales success. Even though the company had a quiet month for software releases, it hasn’t needed them. Games such as Mario Kart 8 Deluxe and Zelda: Breath Of The Wild are still charting after 2 years of being available to purchase. Meanwhile, Nintendo’s most recent releases, Super Smash Bros. Ultimate and New Super Mario Bros. U Deluxe, are still charting very well. Again, hardware sales are just one metric. I’ve read some ranting on Forbes back in 2017 comparing the Switch to Wii U and predicting that it’ll be another flop. Kudos to Nintendo and their Switch for a wonderful accomplishment. Not gonna lie, the Switch is pretty dope. I just wish the docking station had some sort of hardware that boosts the systems capabilities to make it more powerful. I wish it wouldn’t scratch my console (and I’m being super careful). Still though, the Switch is awesome! Not really possible in any way that makes sense. I just can’t get over how long this generation is set to last. Since Switch is likely to have a 10 or 11 year lifespan (if not longer), that’s going to make the Wii U/PS4/XBOne/Switch generation span an incredible 2012 to 2027 or 2028- that’s a whopping 16 years!! Not even PS2’s generation lasted that long!